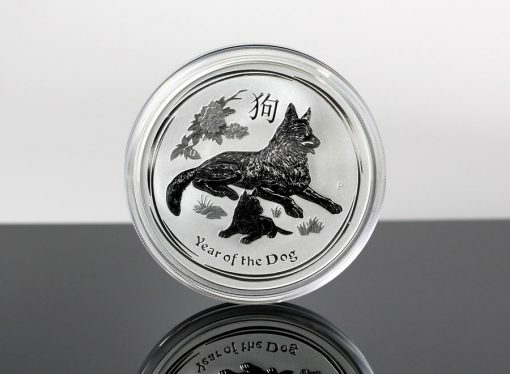 CoinNews photo of a Australian 2018 Year of the Dog 1oz Silver Bullion Coin. 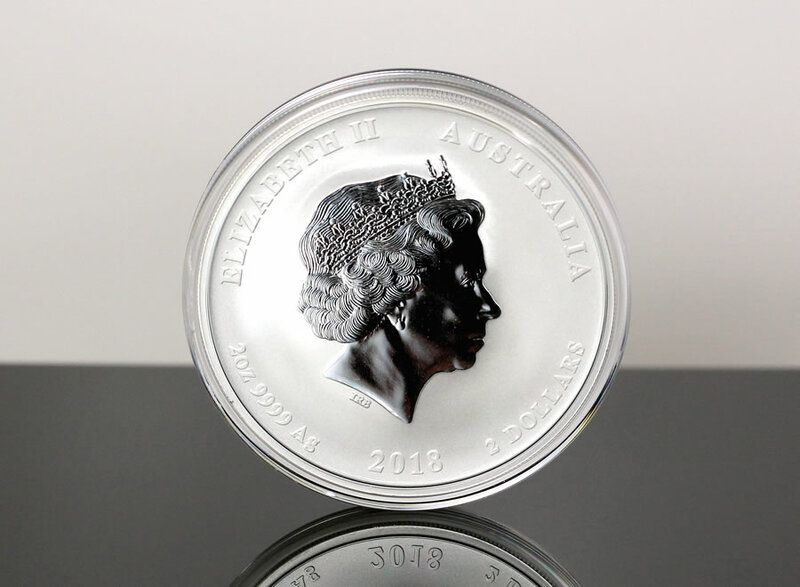 The Perth Mint sold out of the coin as well as the companion 1oz gold edition. 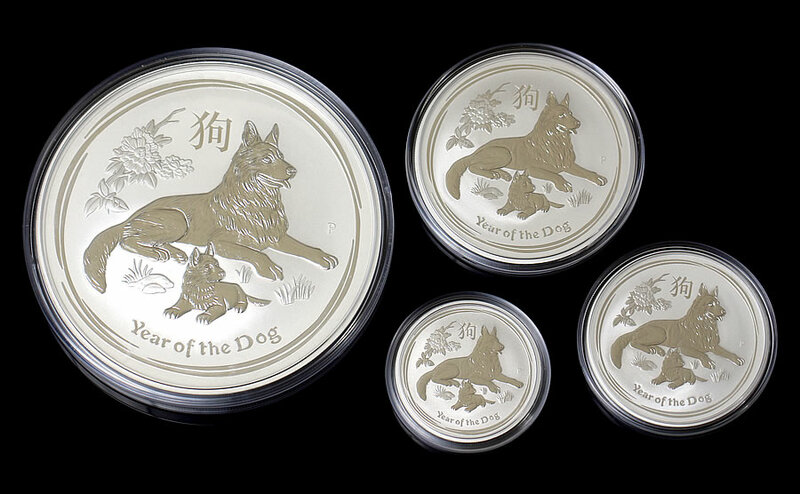 Released in September to celebrate the 11th animal of the Chinese lunar calendar, the dog-themed coins are minted in 99.99% pure gold and 99.99% pure silver to respective mintages of 30,000 and 300,000. "The [sellout] result underscores their reputation as the most sought-after Lunar coins in the world," The Perth Mint said. The pair of sellouts continues an annual trend that began in 2008 when the Australian Lunar Gold and Silver Bullion Coin Series II program kicked off. The series ends in 2019. 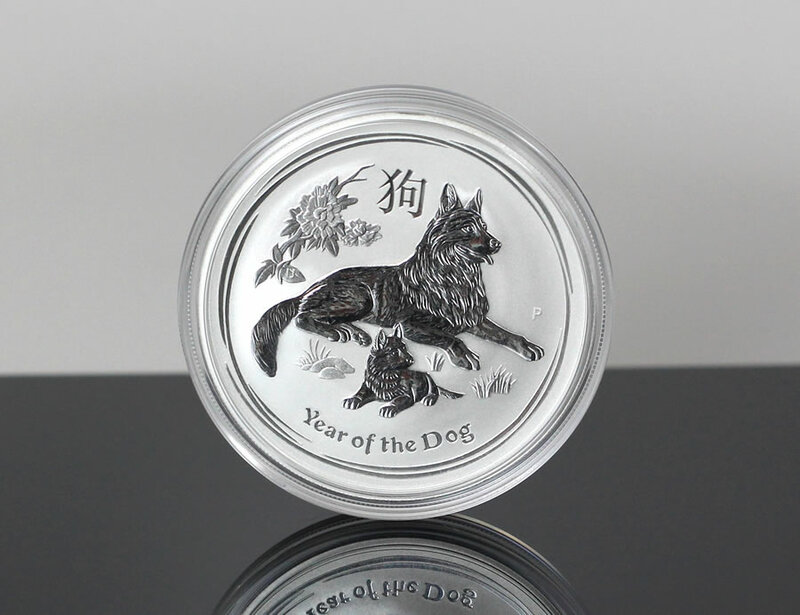 Year of the Dog bullion coins are still available in other sizes. Remaining gold options include 1 kilo, 2oz, 1/2oz, 1/4oz, 1/10oz and 1/20oz sizes. Still available silver options include 10 kilo, 1 kilo, 10oz, 5oz, 2oz and 1/2oz sizes. 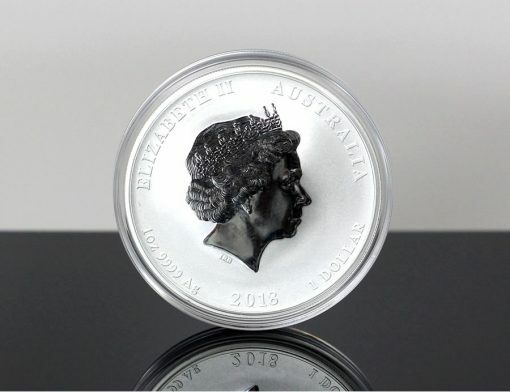 Obverses (heads) of both bullion types depict the Ian Rank-Broadley portrait of Her Majesty Queen Elizabeth II. I hope they keep them down under, very poor quality coins not a credit to the perth mint at all.